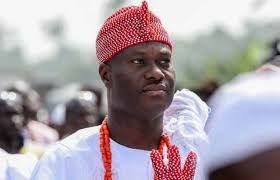 The palace of the Ooni of Ife, Adeyeye Ogunwusi, has reacted to the humiliating treatment meted out to him by the Oba of Lagos, Rilwan Akiolu, at a public function in Lagos on Tuesday. A video of the incident which went viral on social media showed the Lagos monarch refusing to shake hands with the Ooni, who arrived the venue of the event while guests were already seated. The Ooni, on entering the hall, went straight to greet traditional rulers, but Oba Akiolu shunned him and with a wave of the hand, gestured his rejection of the Ooni’s greetings. The Ooni however, took the incident with calm and took his seat on the same roll where the traditional ruler was seated. Also, the Head of Palace Directorate of Tourism, Awoyemi Tunde, said the Ooni of Ife was not losing sleep over the issue. “It is not a slap on the Ooni of Ife but rather a slap on the Oba of Lagos,” he said. “The stool of Oba of Lagos was founded by Olofin Ogunfunminire and the Ooni of Ife is the Oba of Yoruba land. “The Oba of Lagos has to come to terms with the fact that Ooni is the royal father of Yoruba land, it is necessary that all persons come together to unite Yoruba land but really the issue at the event is very condemnable”. Mr. Tunde also said that the Oba of Lagos risked the wrath of the ‘Alale'(Ancestors), as a result of his disrespect for the superior monarch. “God gave Ooni of Ife Oba Enitan Ogunwusi, Ojaja II, the mandate to unite the Yoruba land and nothing will stop him from doing that,” he added. According to Mr. Tunde, reactions from different Yoruba communities would continue to pour in to denounce the action of the Lagos monarch. “If we don’t receive an apology especially with the image of Ile-Ife, we will call on the ancestors on the issue,” he said.